Most families have plenty of cardboard laying around the house just begging to be recycled or put to good use, which is one reason cardboard crafts for kids are so awesome. 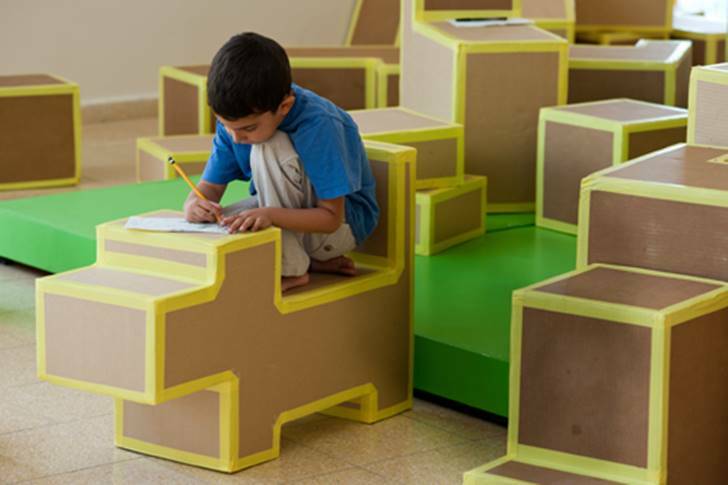 Cardboard is easy to work with, inexpensive and endlessly adaptable, giving your kids a great medium with which to stretch their creativity muscles. If you’re going to create some cardboard crafts, I highly suggest you read, How To Work With Cardboard, an amazingly in-depth guide, to get you started. 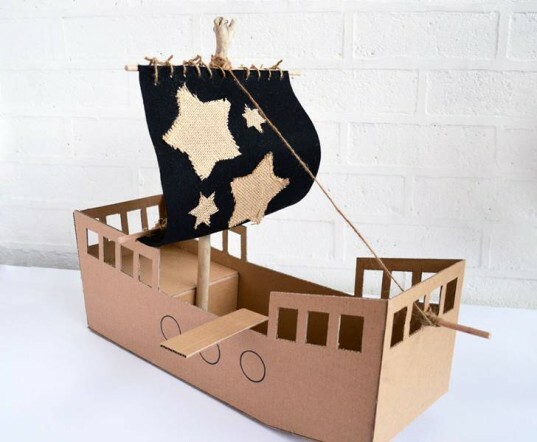 Then try your hand at the amazing cardboard creations below with your kids and get inspired to come up with your own cardboard craft ideas as well! Of all the cardboard crafts out there, this awesome airstream camper playhouse has to be one of the best ever! Amazingly, it’s not too tough to make either, using just recycled cardboard, a cutter, paint and duct tape – likely all items you already have lying around. Though simple, this cardboard craft is the perfect size for toddlers and will keep your little one occupied for hours, letting her pretend to assemble, cook and eat her pizza, then do it all over again. Talk about the ultimate play date or birthday party activity! This amazing life-size maze is insanely fun for kiddos and gets even better when you break out the paint, markers and stickers with which kids can decorate this creation (see decorated images of this maze here). No room for a life-size maze? No problem. Try out this much smaller cardboard maze your kids can make. This modern looking cardboard dollhouse was designed with a Christmas theme, but it’s also perfect year-round, especially if you adjust the colors. The folks over at Mr. Printable have made it utterly easy for you to help your child make this little house with handy instructions and a free dollhouse template (pdf). If you like this dollhouse, also check out their awesome haunted house that can also be made with cardboard. We’re huge fans of Makedo kits — products that allow you to make the most of recycled cardboard via recyclable plastic pins, hinges, clips, and a kid-safe cutting tool. With Makedo you can even make the giant windball shown above for your kids to kick around the park, or create a smaller one to decorate your home. Download free instructions at Makedo (pdf) or visit their Great Wall of Creations for even more awesome recycled cardboard project ideas. This AMAZING cardboard creation doesn’t even look like cardboard and seems really tough to make. Luckily, it IS cardboard, and easier than you think to make. This car is super strong and can be climbed on, plus it was designed for reading! The back of the car has a sturdy shelf to hold books and the little seating area has a ledge for books to sit on. Plus, bonus, this is inexpensive to make and your kids will think you’re the superhero parent of the day for making it. Celebrate the harvest season (or anytime of year) with a handmade, farm-inspired marble run. Gather up some cardboard, a marble and some recycled arts and crafts bits you already have lying around the house. You don’t have to do a farm theme either. Let your kids come up with their own marble run design idea and go nuts. The blocks above were made by Tali Buchler for a community center, but you can get a free DIY download for the colorful building blocks and build your own fun playscape at home. Fun and imagination on the high seas is easy with this clever DIY cardboard pirate ship. One of the best cardboard crafts to make for kids is an indoor playhouse. Less expensive than wood and far more adaptable, you can pretty much design an ultimate dream playhouse with very little time and few materials. The playhouse above is simple, yet sweet inspiration, with cute touches like flowers and a mailbox. If you’re looking for more festive playhouse inspiration, check out the tutorial for the sweet gingerbread cardboard playhouse above. Bright and cheery, this cute playhouse was made with 4 large moving boxes and gummed reinforcement tape. Think outside the box and design your playhouse for your child’s favorite holiday, such as Halloween or Easter if you’d like. 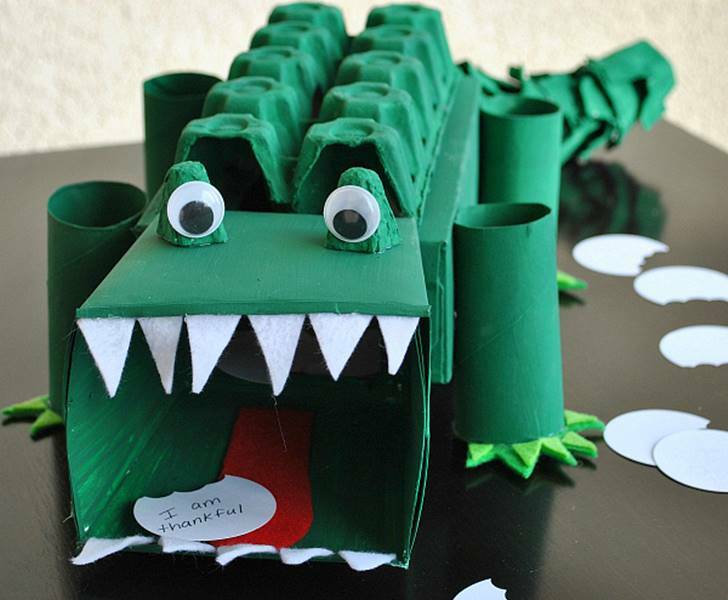 This alligator affirmation box is packed with loving and empowering words for your child. Each day your child can pull a positive thought out of the gator’s mouth or use the gator for pretend jungle playtime. 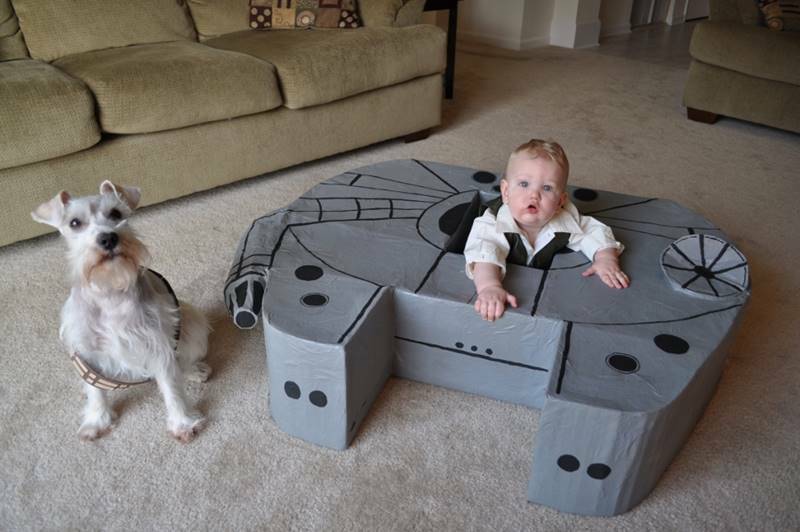 This amazing cardboard Falcon will impress both boys and girls alike who are obsessed with the Star Wars series. 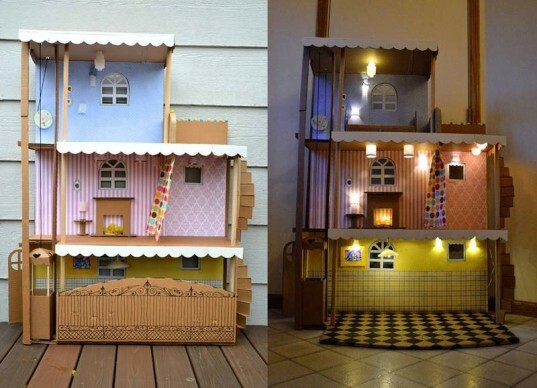 This delightful and impressive Barbie house is based around cardboard, which is surprising considering all the design aspects this house has, including a working elevator and lights! 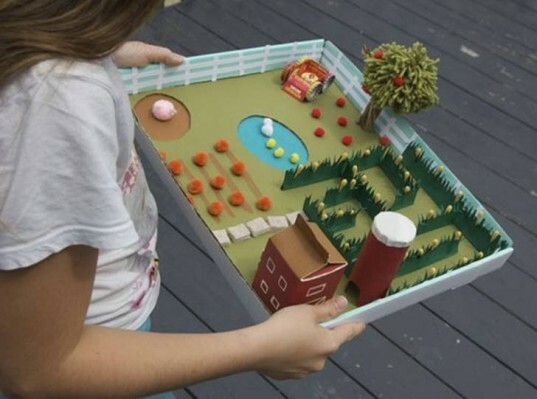 Most families have plenty of cardboard laying around the house just begging to be recycled or put to good use, which is one reason cardboard crafts for kids are so awesome. 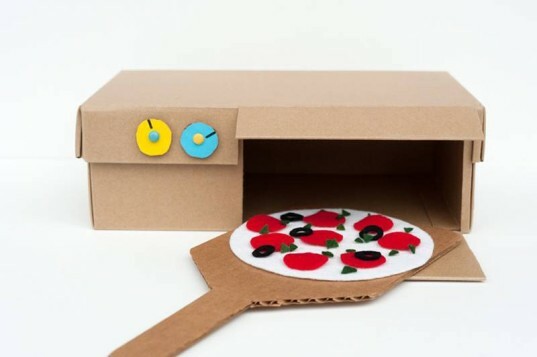 Cardboard is easy to work with, inexpensive and endlessly adaptable, giving your kids a great medium with which to stretch their creativity muscles. If you're going to create some cardboard crafts, I highly suggest you read, How To Work With Cardboard, an amazingly in-depth guide, to get you started. Then try your hand at the amazing cardboard creations below with your kids and get inspired to come up with your own cardboard craft ideas as well! 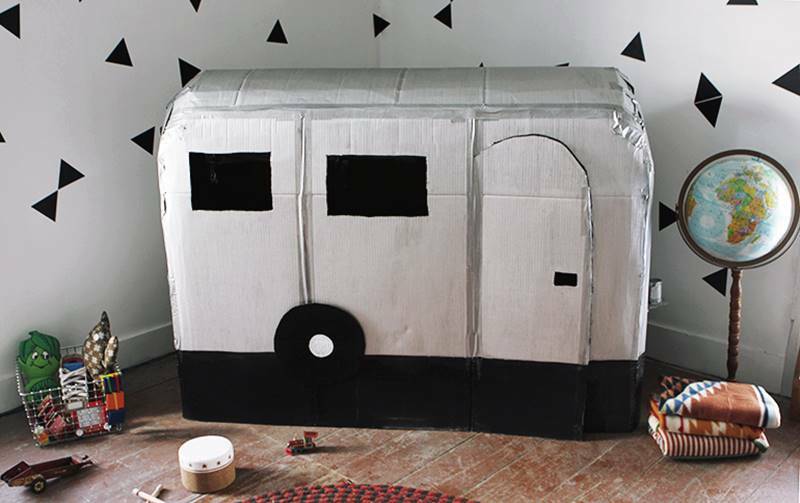 Of all the cardboard crafts out there, this awesome airstream camper playhouse has to be one of the best ever! Amazingly, it's not too tough to make either, using just recycled cardboard, a cutter, paint and duct tape - likely all items you already have lying around. Talk about the ultimate play date or birthday party activity! This amazing life-sized maze is insanely fun for kiddos and gets even better when you break out the paint, markers and stickers with which kids can decorate this creation (see decorated images of this maze here). No room for a life-size maze? No problem. 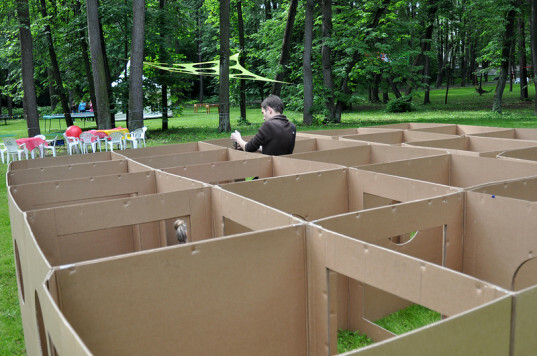 Try out this much smaller cardboard maze your kids can make. 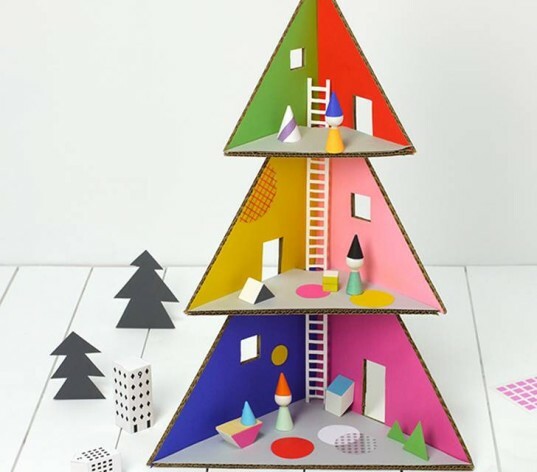 This modern looking cardboard dollhouse was designed with a Christmas theme, but it's also perfect year-round, especially if you adjust the colors. The folks over at Mr. Printables have made it utterly easy for you to help your child make this little house with handy instructions and a free dollhouse template (pdf). If you like this dollhouse, also check out their awesome haunted house that can also be made with cardboard. We're huge fans of Makedo kits -- products that allow you to make the most of recycled cardboard via recyclable plastic pins, hinges, clips, and a kid-safe cutting tool. 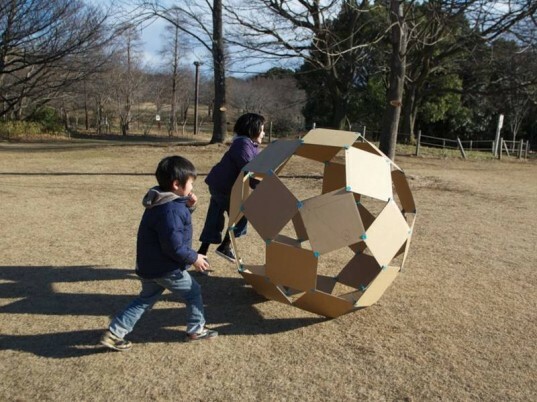 With Makedo you can even make the giant windball shown above for your kids to kick around the park, or create a smaller one to decorate your home. Download free instructions at Makedo (pdf) or visit their Great Wall of Creations for even more awesome recycled cardboard project ideas. This AMAZING cardboard creation doesn't even look like cardboard and seems really tough to make. Luckily, it IS cardboard, and easier than you think to make. This car is super strong and can be climbed on, plus it was designed for reading! The back of the car has a sturdy shelf to hold books and the little seating area has a ledge for books to sit on. 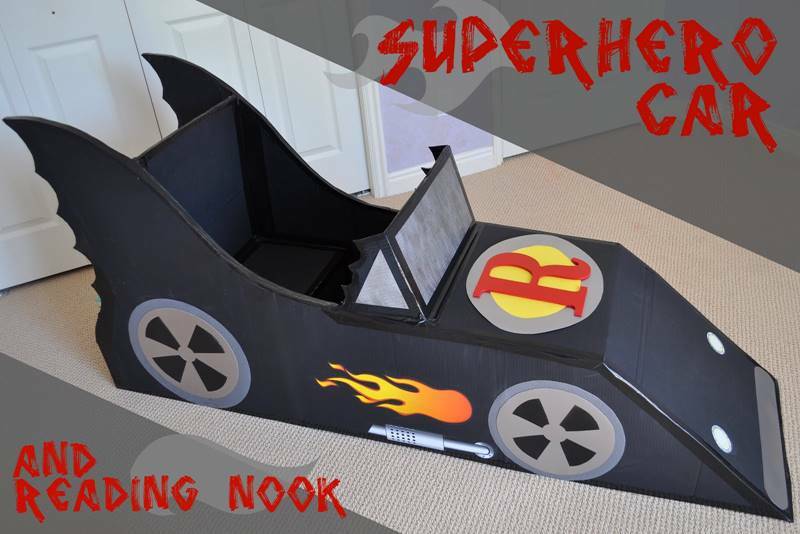 Plus, bonus, this is inexpensive to make and your kids will think you're the superhero parent of the day for making it. Celebrate the harvest season (or anytime of year) with a handmade, farm-inspired marble run. Gather up some cardboard, a marble and some recycled arts and crafts bits you already have lying around the house. You don't have to do a farm theme either. Let your kids come up with their own marble run design idea and go nuts. 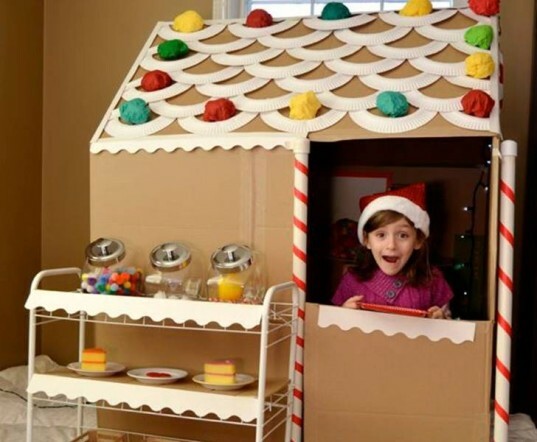 If you're looking for more festive playhouse inspiration, check out the tutorial for the sweet gingerbread cardboard playhouse above. 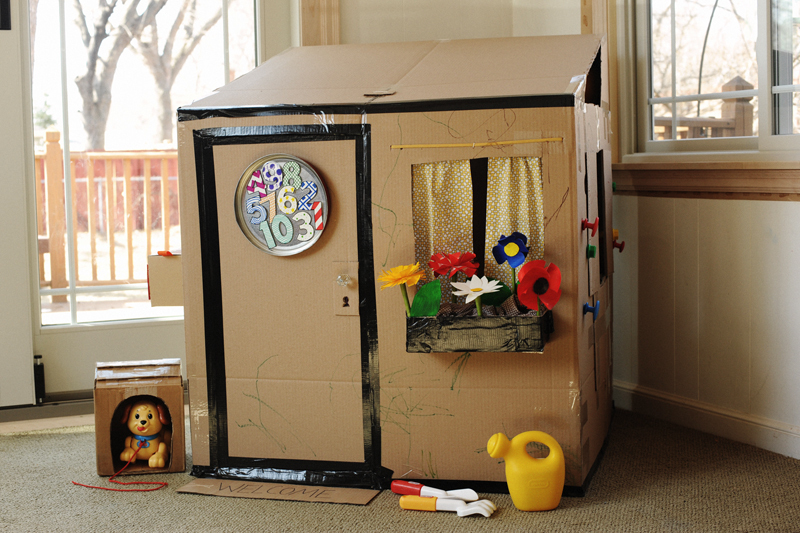 Bright and cheery, this cute playhouse was made with 4 large moving boxes and gummed reinforcement tape. Think outside the box and design your playhouse for your child's favorite holiday, such as Halloween or Easter if you'd like. This alligator affirmation box is packed with loving and empowering words for your child. Each day your child can pull a positive thought out of the gator's mouth or use the gator for pretend jungle playtime.